I have an excellent/bad habit of wasting the day away on Sundays. I usually don't get out of bed (at least not enough to clothe myself or leave my domicile) until mid afternoon at best. However, once I do, I am often urged to cycle hard as I feel very much like a sloth. I am aching to get back to the record dump but in lieu of that I am forced to find more local haunts to revisit. I rode aimlessly east on Fullerton Ave. until I hit the dead end at Harlem. I was stricken with inspiration and checked the bus tracker - next Harlem bus (southbound) was due in 3 minutes. I rode it to the area of the Green line then cycled to Madison Ave. Took that east to Austin...south on Austin. And I arrived. 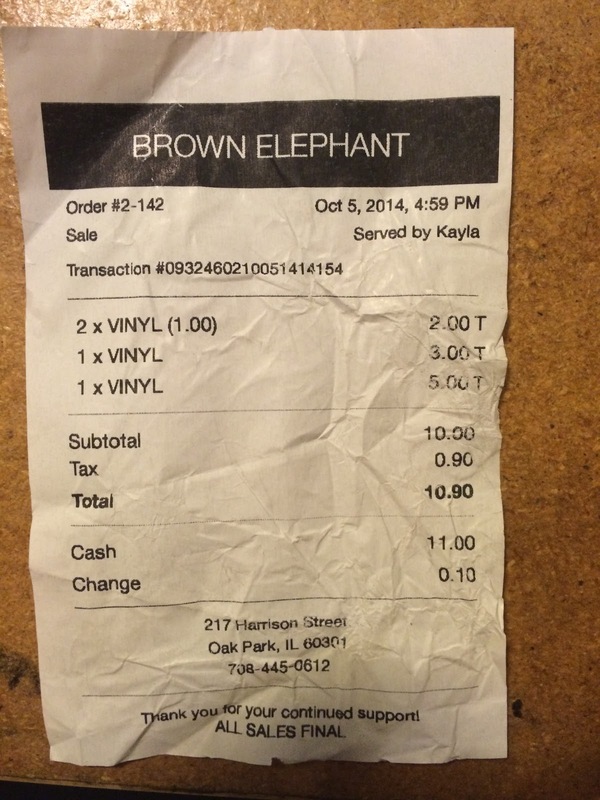 I first visited the Brown Elephant about 9 months ago, after inadvertently finding it on my way to another Oak Park record depot. It is a high end thrift store and things seem to have improved since my last visit. First of all, they have totally separated all the classical/orchestral music from everything else. Every thrift store in the world needs to do this because the simple fact is that probably 10% of your customers actually came for that style of music. By separating it, you saved me massive amounts of time. 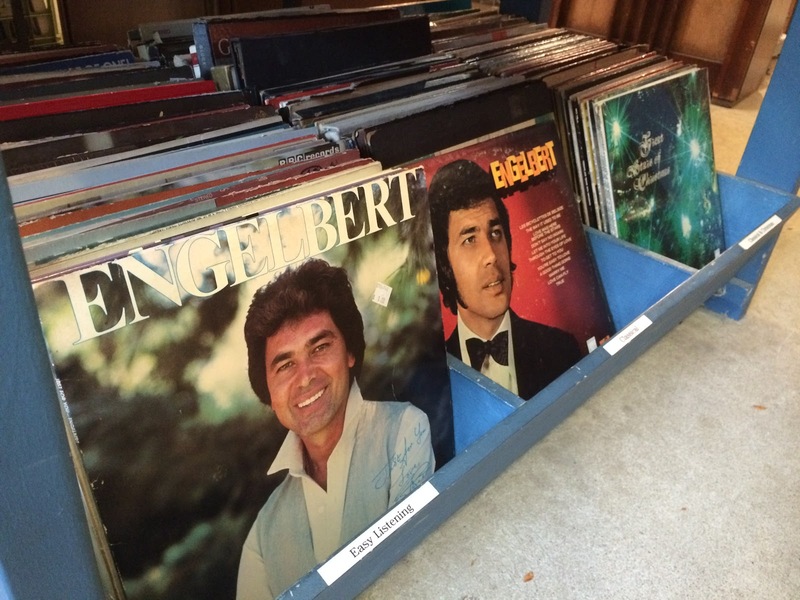 Also, it looks like they are now individually pricing the records according to an unknown standard. 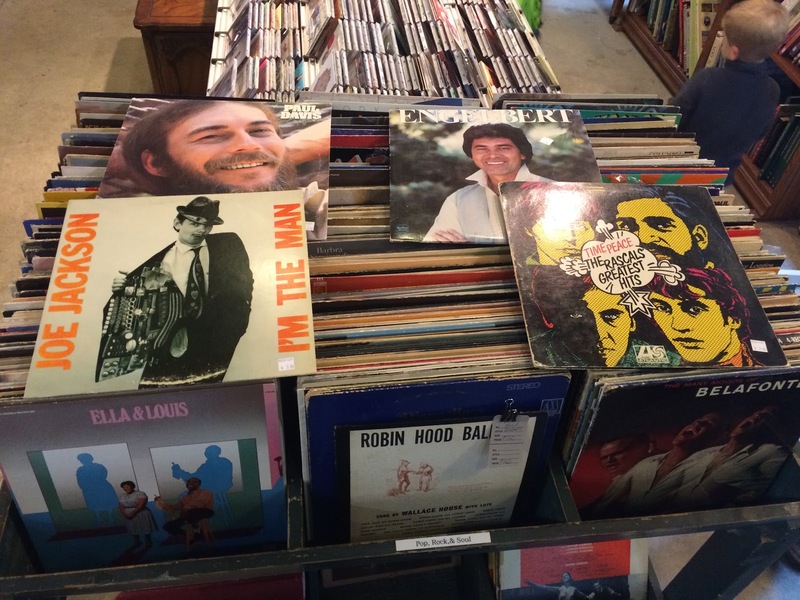 It looks mostly accurate, or at least relative to the other records for sale. They also have upgraded to a computer terminal type register as opposed to a simple cash register that prints on an adding machine type receipt. I don't know why this even caught my eye....but it did and I immediately made a pact with myself: if "How Can I Be Sure?" was included, I would buy it. Well it was, and I did. It is a pocket gatefold and the seam has become unglued (this style of jacket is a magnet for abuse). I currently have it glued and 'clamped' inside a high school year book (sophmore year). The rest of the songs are really good and there are many I know and forgot about. This was a steal. Not only the worst condition of the four records I grabbed, but by far. Appropriately, they only charged me $1. During my first visit here, I found a my copy of 'Sweetheart'. By no means rare in terms of value but out of the ordinary certainly to come across it (never saw a copy before or since). My good luck for Eng continued - add this to the heap of comps I continue to accrue. My girlfriend found this a while back and her's had a giant color book inside full of pics. Mine did not - however I did actually find two copies so I swapped vinyl/jackets so I got the best of both worlds. I don't remember how I got Joe's first album but I distinctly remember listening to it intently during a long train ride shortly after I had been introduced to it and thinking 'I will be listening to this the rest of my life'. My interest has not since waned. Shortly after that I thought that this album would be as good but I was disappointed. Wrong time to give it a go - not a fair assessment. However I did later become obsessed with the final track (and Graham Maby's typically awesome bass lines). I already have the debut LP as a single 12" and a double 10" (sans pin, damn!) and I just found that this album was also released as a 5x7"! What??? MUST HAVE AT ONCE. Not unfortunately the album which contains my favorite track but two awesome singles made this worthwhile otherwise.